Today I played with a ColorMunki Design, using it with argyll in Linux to record the spectrum of ambient light in the sky as the sun set. I ran "spotread -a -H -s log.txt" to record using the ambient diffuser, in high res mode (3.3nm per sample instead of 10nm per sample), and recording tab-separated values to log.txt. In high-res mode it reports 380nm-730nm in 3.33nm increments every 3-4 seconds. I let it run in my shaded backyard while the sun was setting, collecting through the ColorMunki's ambient diffuser pointed upward, from 7:33pm to 8:32pm (Sunset was 8:29pm tonight). Here's a gnuplot of the data. 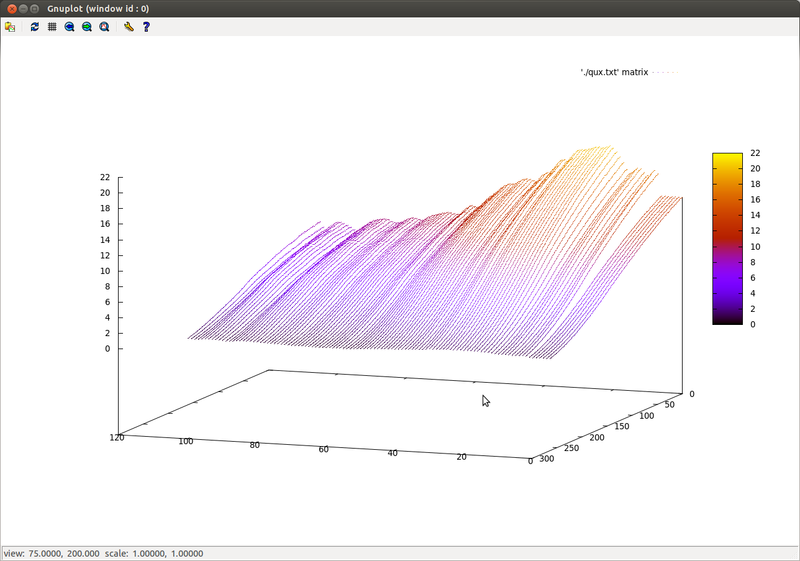 The colors help see the shape of the plot but have nothing to do with wavelength. Back to front is increasing time (you can see the sky getting darker as the plot comes toward us), and wavelength goes from red on the left to blue on the right. So the main thing that happened during this interval is that the blues were attenuated as it got dark. 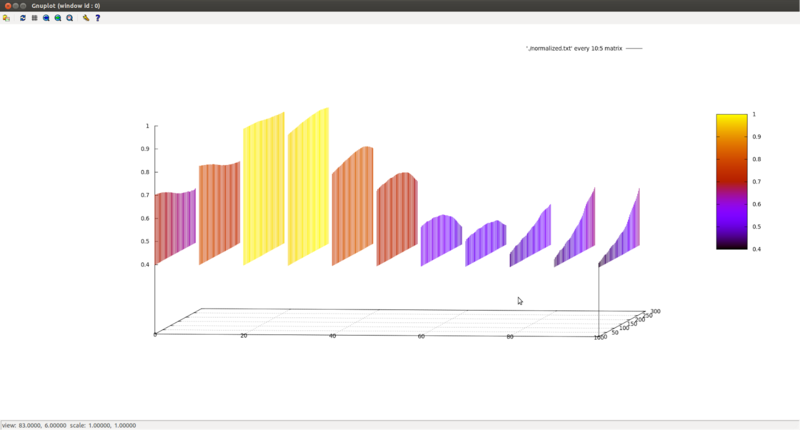 (I wish there was a good way to generate an interactive plot, or at least an animated gif). Here I've rotated the graph around, so that time increases as we go from front to back, and we have red on the right this time with blue on the left. So with the normalization you can see that blue remains the dominant color, but as it gets later in the evening, the reds start coming up (red sunset perhaps?). Overall the curves are pretty interesting -- the shortest blues (relatively) decrease, the greens peak in the middle, and lots of increase in the reds as the sun sets. It decided to stop after an hour when it decided it wanted to be recalibrated, which was disappointing because it meant it didn't record past sunset.